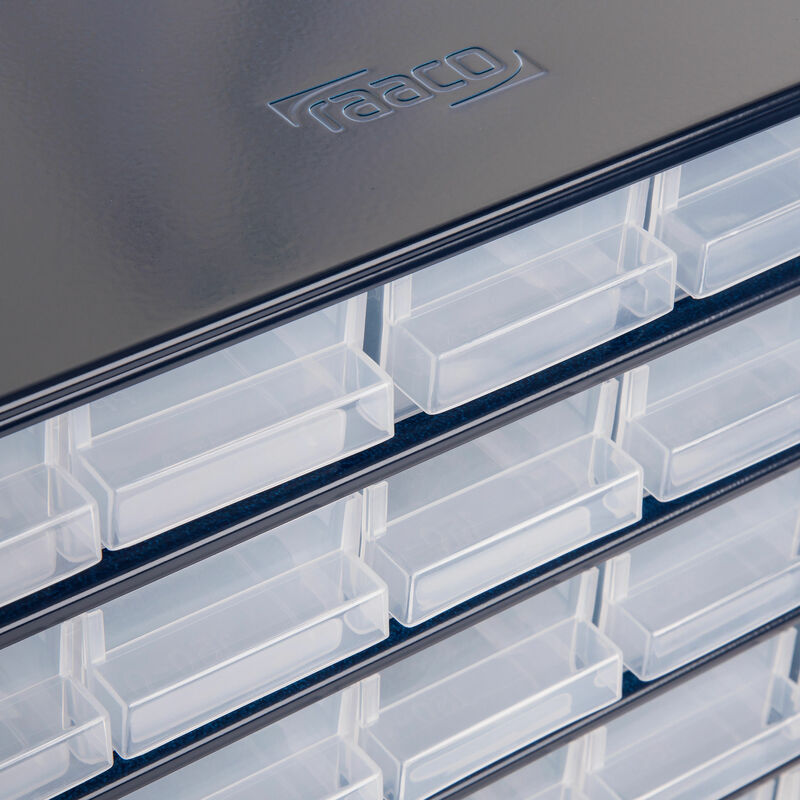 The Raaco Steel Storage Cabinet has 60 x 150mm deep drawers. Each drawer can be divided into 4 compartments. 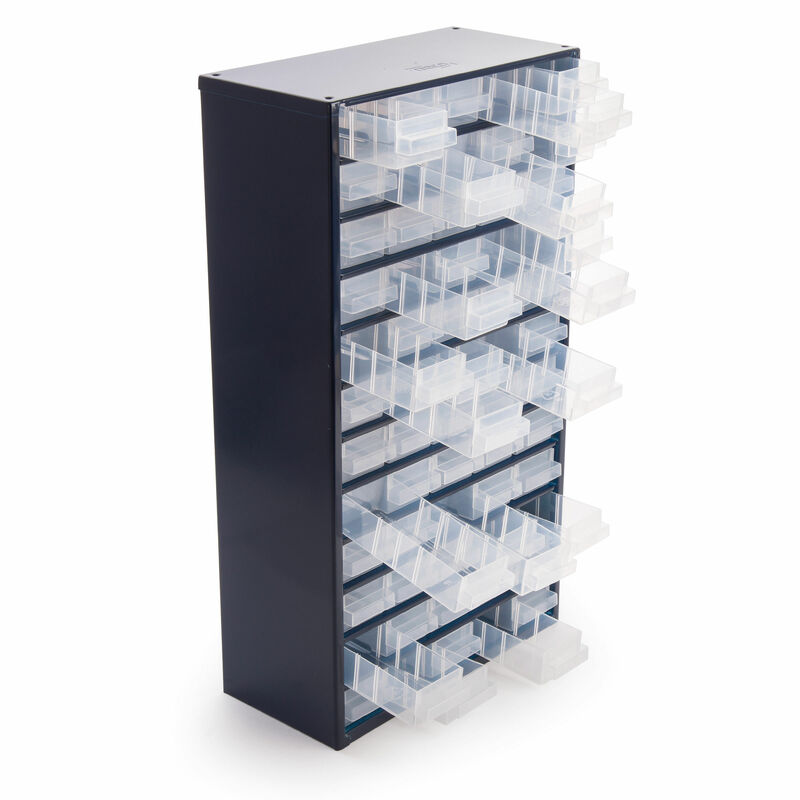 It is the ideal storage space for nuts, bolts, screws and small items which can soon get lost or mixed up. Keep your workplace tidy and organised. The finish on the cabinet is of painted steel and the drawers made of polypropylene (PP).